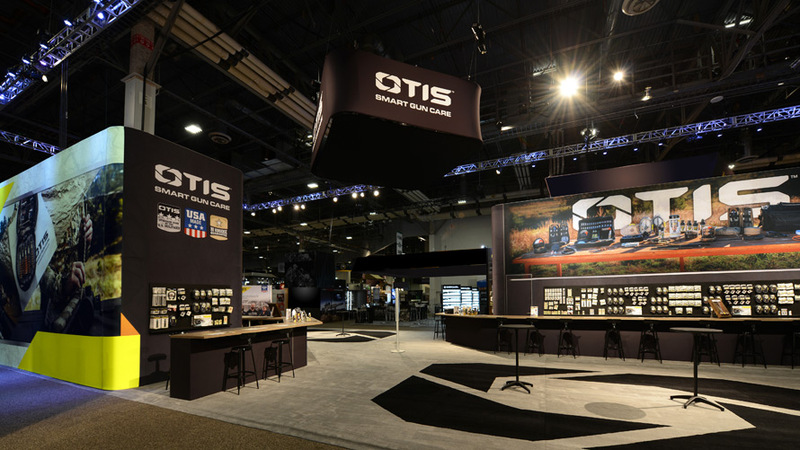 Otis Technology, a manufacturer of gun cleaning systems and accessories, partnered with Creatacor for a sixth year for the 2018 Shot Show. They revealed not only their featured product lines but their updated corporate identity. With their large footprint of 40′ x 90′, they commanded a presence on the show floor. A face-to-face custom rental turnkey solution from design to execution, featured two 16 foot towers wrapped in SEG fabric graphics and aluminum framing making it easy for set up and lightweight for shipping. Each 625 sqft. tower consisted of two conference rooms and a focused area for either a staff lounge or a storage facility. 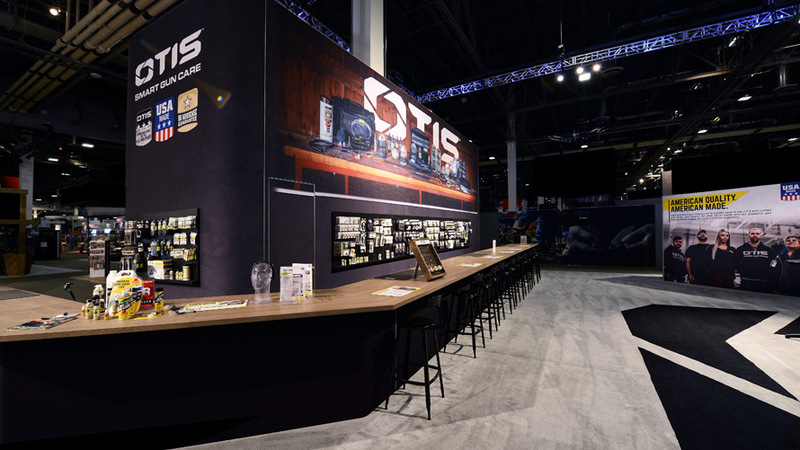 The overhead truss system accommodated over 70 lighting fixtures and components to help provide down-lighting for product displays and graphics, as well as, overall booth ambience. Custom retail display cases adorned the space strategically while five custom rental matrix info counters outfitted the exterior floor space. These were manned by Otis staff ready to greet all welcomed attendees.